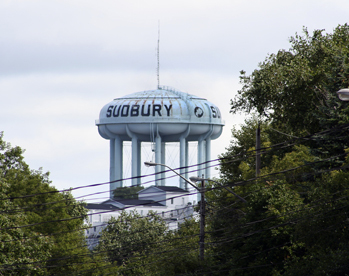 Toronto – Sudbury Three times daily 8:25 a.m.
Sudbury – Toronto Three times daily 6 a.m.
Flights between Toronto and Sudbury will be operated by WestJet Encore. Launched in June 2013, WestJet Encore now operates more than 180 daily departures to a total of 36 destinations across Canada and the U.S. with a fleet of 34 Canadian-made Bombardier Q400 NextGen aircraft. By mid-2018, the regional airline will have a total of 45 aircraft. WestJet invites all business travellers in Greater Sudbury with top-tier status in another airline’s frequent flyer program to provide proof of that status to receive Gold flight benefits and earn rate in WestJet Rewards until February 28, 2018. To be eligible, simply email [email protected] by February 28, 2017, with your WestJet Rewards ID and proof of top-tier status. Then, install and sign into the WestJet app to see your Gold status come to life 10 days later. For more information on this special offer please visit westjet.com/sudburygold.